Canada is one of the world’s most important markets for the international construction machinery, building material plant and mining machine industry. It is the world’s seventh biggest construction machinery market. With a volume of 102 billion and 116 billion euros respectively, between them the construction and mining industries account for more than 15 per cent of Canadian gross domestic product. 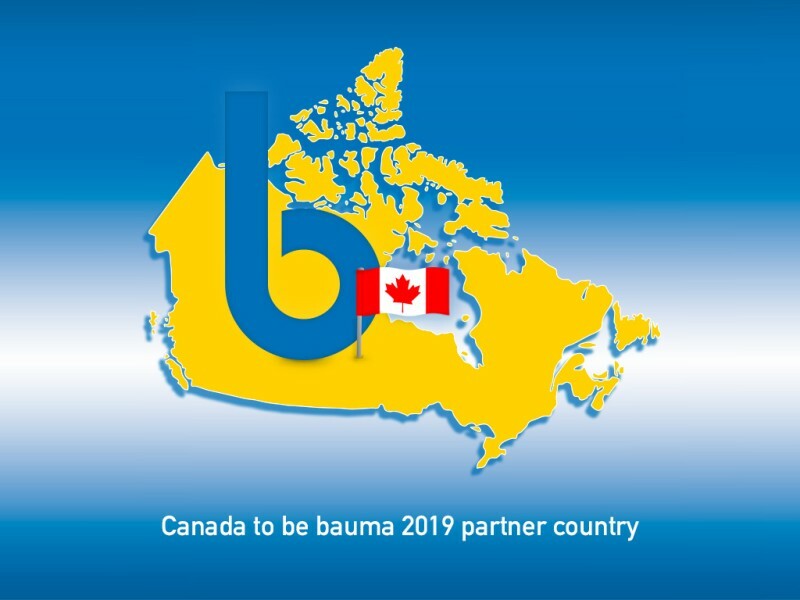 These impressive figures are reason enough to focus on Canada as a partner country at the next bauma—as agreed by Messe München and the Verband Deutscher Maschinen- und Anlagenbau (VDMA—German Engineering Federation). Canada ranks in the world’s top 5 producing countries for almost all mineral resources and boasts the world’s third-largest oil reserves. Notwithstanding the current weakness in the mining and oil and gas sector, the medium-term prospects are positive. According to estimates, the construction industry will grow by more than three per cent annually to 2020. Major projects such as the Northern Ontario Ring of Fire and numerous building construction and civil engineering projects in the major cities worth billions, such as Vancouver airport, the Montreal hospital complex, Toronto railway station or the Calgary cancer center support this positive assumption.